The PCAT plays a huge role in your pharmacy career future and a huge role in your future as a whole. This exam has many different options for test preparation guides, from preparation software to study guide books. 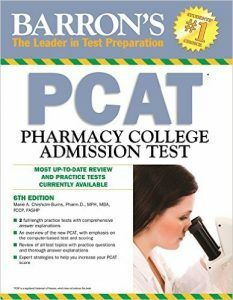 The PCAT, Pharmacy College Admission Test, is a very difficult exam, and has a big say on your Pharmacy career future. 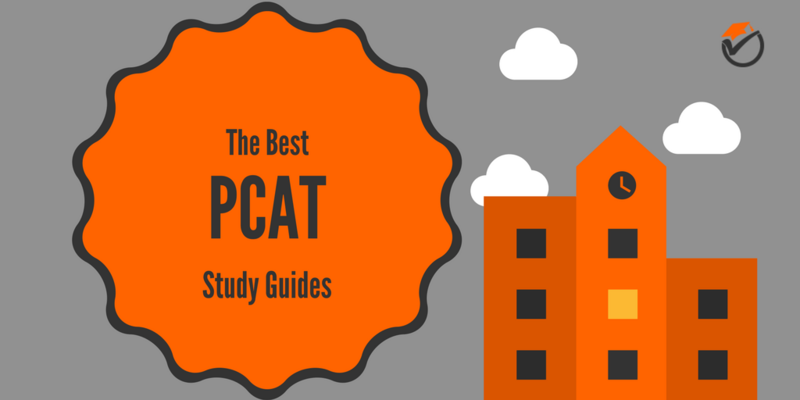 Because of these reasons I have created this list of the best PCAT study guides. All of the info below should make it very easy to choose which preparation software or review book solution is right for you. Want to know which study guides came out on top? Crack the PCAT is our best overall prep book on our list of the top rated PCAT prep guides. Unlike all of the other review guides on our list, this review guide package is an online program and not a prep book. This really allows it to go above and beyond the other prep books on our list because it is not limited to a physical medium. This prep software has a gargantuan amount of practice questions. You will never run out a sample questions or practice tests to study with. Along with these practice questions and tests you receive word and video explanations for every answer. This really make sure that you know all of the material end up so you won't be tripped up on test day. Another positive about this prep software are the analysis reports that you receive after you complete practice questions. These analysis reports allow you to pinpoint your weakness so that you can focus your studies on your flaws. This will increase your score on test day because it saves you time since you're not wasting time studying things that you already have a good grasp on. Another nice feature is that you can compare your scores with others that have taken the same practice questions. This really lets you know where you stand with your peers so you know if you really need to start pushing harder to get a higher score on test day. And, the one thing that really makes this prep software stand out from the rest is its money back guarantee. This software guarantees that if you get below their minimum score on the actual exam you will get your money back. Obviously the one main weakness of this software is that it is not an actual book and it is only available as a program online. If you are looking for something that you can carry around with you and don't have access to a laptop at all times, this preparation software may not be the best choice for you. But, if you are looking for something that can encompass more than a single book ever could, then look no further. Although with this one flaw, this software has many strengths that make up for it. Because of this, we rank Crack the PCAT as our best overall review guide on our list of the top PCAT review guides. 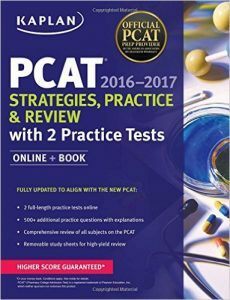 Kaplan PCAT is our 2nd best and best value prep book on our list of the top PCAT prep books. Unlike the other guides below it on our list, Kaplan's is updated for the new exam in 2016. This really becomes useful because studying for things that are no longer on the exam can be time-wasting. Also, it's always nice to know what is changed from one year to the next so that you can focus your studies on what subjects are actually on the exam. You can be confident that the topics and questions that you find in this book are actually what you will find on the test. One of the nice features of this book are the tear-out study charts in the back. These study charts are really useful to get all of the essential facts and strategies quickly so that you can do a quick cram on or before test day. You can go over this tear sheet on the ride to the exam so that you can remember all of the high likelihood to occur info. Also at 888 pages, Kaplan's provides a really in-depth review. Nothing is left out. You will not go into the exam on test day having no clue about a topic because you have never seen it before. The one main flaw of Kaplan's is that some chapters have editing errors and typos. These errors really distract you from the content of the chapters and veer you off course during studying sessions. This is sometimes frustrating while you are trying to learn. Although with this flaw, it's strengths more than make up for it. 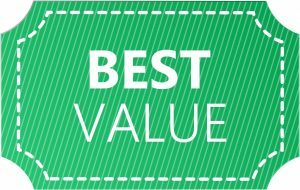 We rank Kaplan's as our second best overall and best value prep book on our list of the top rated review books. 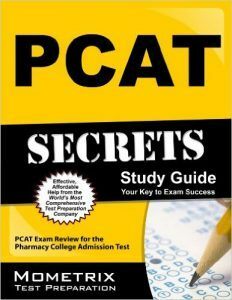 PCAT Secrets Study Guide is our third best overall prep book on our list of the best review guides. The one main positive of this prep book is that the concept review is very comprehensive and thorough. The sections are full of specific and detailed information that will be your key to passing the exam. There is no listing of facts and principles, they are all explained in detail. Another plus of this review book is that it is laid out in a logical and organized fashion. The sections naturally flow from one to the next, making it very easy to plow through during long review sessions. You won't get veered off track by trying to figure out what you were learning 5 minutes ago helps you with the current topic. The one main weakness of this prep book is that it is not updated for the new exam in 2016. You may be left studying things that are no longer on the exam, wasting you time. Or, it is also possible that you may not have a full grasp of the new questions on the exam because they are not covered in this book. Because of this we rate PCAT Secrets Study Guide as our third best overall prep guide on our list of the top prep guides. 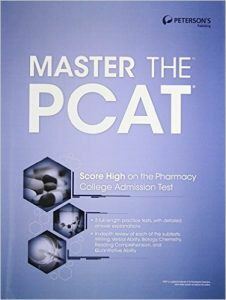 Peterson's Master the PCAT is our 4th best overall prep book on a list of the top PCAT preparation guides. The main strength of Peterson's is that its topic review is very thorough and in-depth. You will learn everything that you need to know for the exam. The answer explanations for the practice questions are very detailed so you can easily learn from your mistakes. Sometimes it is frustrating if a book just give the answers with no explanations but this prep guide does not have that issue. Another positive about Peterson's is the diagnostic pre-test. This pre-test is really good for figuring out what your weaknesses are so you can focus your preparation on your flaws, saving you time. Like the book above it, Peterson's is not updated for the new exam in 2016. This is really a disappointment since this prep guide is pretty good, but the new exam format really leaves it outdated. Another weakness with Peterson's is that there are some typos in the answer sections and some chapters are poorly edited. This can leave you scratching your head in confusion when you get an question correct but the explanation in the back of the book says that you're wrong. Because of these flaws Peterson's ranks as our 4th best overall book on our list of the best prep books. Barron's PCAT is our 5th best overall and budget pick prep book on our list of the top PCAT review guides. One thing that Barron's does right is that the practice tests and questions have very thorough and in-depth answer explanations. These answer explanations really get to the nitty-gritty on why certain possible answers are correct while others are incorrect. This really allows you to learn from your mistakes, thus increasing your score on the exam. Barron's also gives really good tips and strategies for the exam. These strategies really allow you to slip past the test writers tricks so that you are not slipped up on exam day. Like the two titles above it, Barron's is not updated for the new exam in 2016. This may lead you to study for things that are no longer on the exam or to not study for things that are. Another flaw of Barron's is that the concept review is not very in-depth and thorough. At only 400 pages, Barron's does not have enough length to really get into detail on the topics. 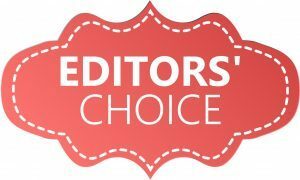 Because of these flaws, Barron's ranks as our fifth overall, but budget pick on our list of the top preparation guides to prepare for the PCAT. 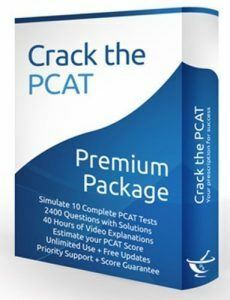 Buy Crack the PCAT if you are looking for the best overall preparation guide and do not care about price or length. 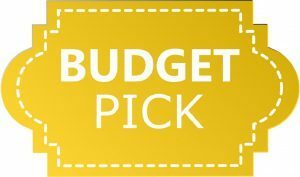 If you are looking for something with better value that is not as comprehensive, but has a lower price, pick up Kaplan's. And, of course, if you are looking for a budget pick, then pick up Barron's.